We've taken on Everest. Now we're ready for toddlers! Nalgene containers have stood up to some of the worlds most extreme conditions. Small potatoes compared to small children. 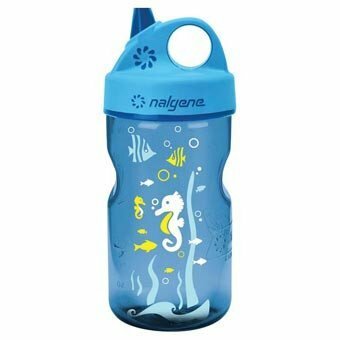 The new Nalgene Grip'n Gulp is tough enough to survive being thrown form a moving minivan, spill proof enough to compel parents to blame the rug stains on the dog, and odor proof enough to allow leftover milk to go undetected under the couch for months. Most importantly, its a great way for little kids to reach new heights. WNA Plastic Kids' Cups with Lids and Whistle Straws, 12 oz., Rock Star Design - 250 cups, 250 lids and 250 straws per case.